"The King vs. The King of the Dead." Sebastian Haff is an elderly man who lives in a retirement home deep in East Texas. He is not just any man as Haff is actually Elvis. Tired of his fame, Elvis switched with the real Sebastian Haff who was an Elvis impersonator. It was actually Haff that died and not Elvis. In the nursing home, Elvis befriends Jack, a black man who insists he is President John F. Kennedy. The two team up to fight against an Egyptian mummy named Bubba Ho-Tep that has been reanimated after a storm and is feasting on the souls of nursing home residents. 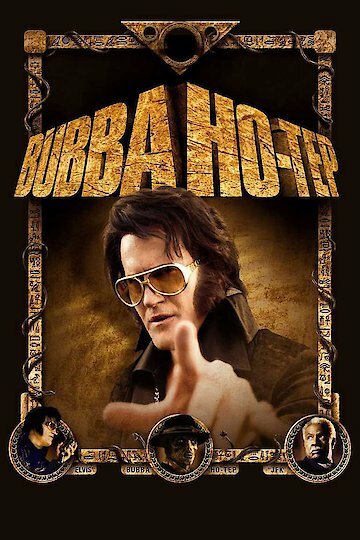 Bubba Ho-tep is currently available to watch and stream, buy on demand at Amazon, Vudu, FandangoNow, iTunes online.